Few things are better than sipping on a delicious coffee that you roasted yourself. 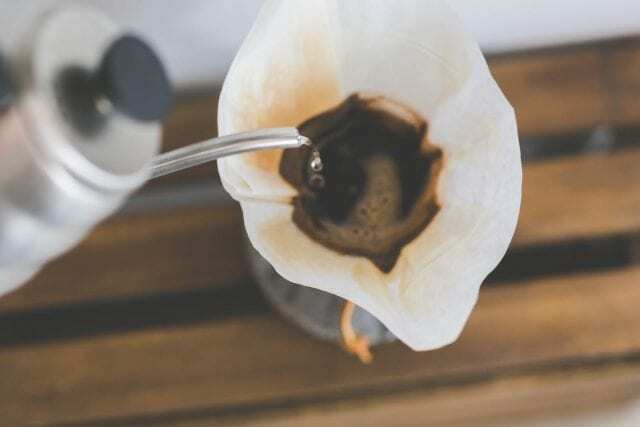 Becoming a home roaster allows you to explore the different types of coffee you can drink, learn more about your favourite beverage, and also craft your daily cuppa to your exact preferences. 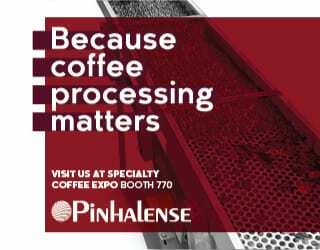 You’ll enjoy the smell of freshly roasted coffee and the sight of those beans in your cooling tray, knowing that you had a hand in their development. However, home roasting isn’t easy. This hobby comes with a whole new set of skills and concepts to master. And no matter how competent you become, there’s always something new to learn. So let us introduce you to some of the main concepts that you’ll come across in your home roasting journey. We’ll be looking at equipment, roast profiles, roast stages, green beans, roast defects, and roast and flavour characteristics – let’s get started. Roasted coffee beans inside a drum roaster. This is how most home roasters begin, with either a pan or a Whirley-Pop roaster that sits on top of their hob. On the plus side, it’s a cheap and hands-on way to begin roasting. However, it’s difficult to control your roast and can be laborious. First of all, a pan is exactly what it sounds like. A Whirley-Pop is like a saucepan but with an in-built crank for moving beans around and a hinged lid that will let you check the bean colour. It’s actually designed for popcorn. You need to be constantly moving those beans to ensure an even roast. What’s more, many people find light roasts hard to achieve with this method. You should be prepared for a lot of smoke – you may find it easier to do this outside on a camp stove, although the wind may then make it harder to achieve a consistent heat. 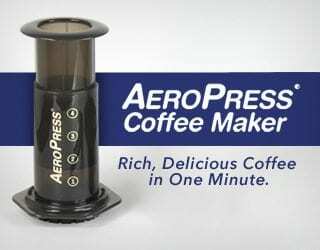 In an air roaster, the machine heats the air which in turn heats the coffee. It’s a popular home roasting method and, in fact, many people start with this rather than with a stovetop roaster. It’s easier to control than stovetop roasting and offers more consistent beans. However, it also gives you less control over the roast development than drum roasters, our final option. Drum roasters have a drum that slowly rotates the beans. They normally allow you to roast more coffee at a time than air roasters or stovetop roasters. What’s more, you can start to manipulate more factors, such as temperature. They may come with smoke suppression technology so you can use them indoors. Chaff, or silverskin, is the tiny layers of dried skin or husk on the beans. These will come off during roasting. A chaff tray/collector will catch chaff. Unless your roaster comes with a built-in cooling cycle, you’ll want to cool your freshly roasted beans as quickly as possible. This will prevent them from continuing to develop/roast due to the hot environment. A cooling tray or pan is ideal for this. You can attach a thermometer to some drum roasters, which will help you keep track of your roast development. Many roasters like to compare pre-roast and post-roast weights to help understand the changes in their beans. What happens if you do your best ever roast… but don’t remember how you did it? Logging your roast times, temperatures, cupping scores/thoughts on the coffee, bean type, and more will help you to replicate roasts, experiment with styles, and so on. 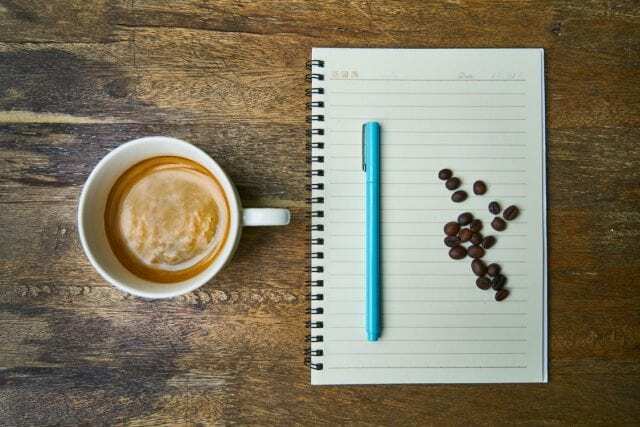 You can use a notebook or one of several apps, such as Roast Buddy, Roastmaster, and (although it’s designed more for professionals) Typica. Valve bags are the best way to store your roasted coffee since they will keep the beans airtight. Find out more here. 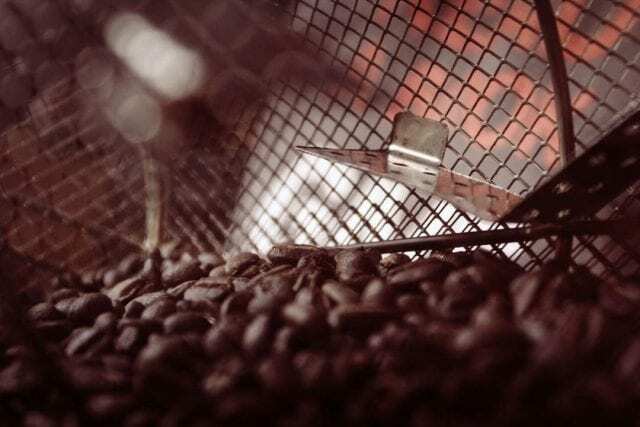 A roasting log can help you to improve quality over time. A lightly roasted coffee won’t have been taken far beyond first crack (more on that to come). This roast level will probably highlight the bean’s distinctive fruitiness and acidity. However, the beans also face the greatest risk of being underdeveloped and having grassy or sour notes. The beans will be approaching or just reaching second crack (more on that to come). The beans will have surpassed second crack. They will be oily and have more “toasty” characteristics. They’re often associated with greater body, less acidity and, when done poorly, more bitterness. Dark roasts are unpopular in the third wave coffee industry, but you can still find them. Some roasters will roast a coffee slightly darker if it’s going to be used as an espresso or slightly lighter if it will be used for pour over. (Find out why here.) Other roasters like to find a roast profile that they believe is suitable for both espresso and filter: something called an omni roast. More names for light roasts. Generally speaking, a City roast is a light roast, a City + a medium-light roast, and a Full City or Full City + a medium roast. Generally speaking, a Vienna or Light French roast is a dark roast, a Full French roast even darker, and an Italian even darker still. Charge temp is the temperature of the drum when you first add your beans. So okay, it isn’t actually a roast stage and, with many home roasting machines, you can’t actually control it. However, we’ve included it here because you’re likely to read about it in roasting articles. You may find you want to experiment with it as you get more into your roasting, because it can have a dramatic impact on the rest of your roast. This is the speed at which heat increases inside your roaster. Most home roasters won’t be able to directly control this but, like charge temp, it’s a key term in the industry and therefore worth knowing. It helps you to control acidity, body, and more. As you get more and more into your roasting, you may begin to get curious about how this affects the final flavour profile of your coffee. This is early on in the roast, when your beans start to dry. Shortly afterwards, they’ll begin browning. The Maillard reaction is a chemical process that browns your beans and creates many of its delicious flavour compounds – especially the savoury ones. Often confused with the Maillard reaction, caramelisation also creates many flavour and aroma compounds. However, the chemical process is different. You’ll know it’s happening by the slightly more caramel notes wafting from your roaster. It begins soon after the Maillard reaction. First crack is a moment that you should definitely be watching out for. A literal auditory crack, it’s a sign that your coffee is nearly at a “consumable” stage. SEE ALSO: What Is First Crack and How Do You Recognise It? After you’ve roasted your beans, it’s standard to allow them to rest and de-gas for a few days before grinding and brewing them. 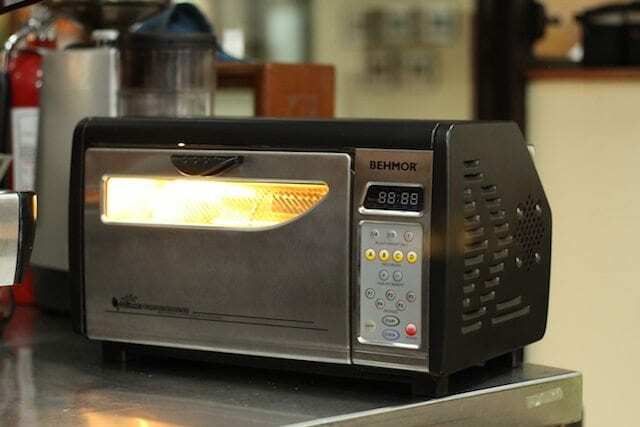 This can refer to both the amount of development that the compounds in your beans have undergone and the period during roasting when those compounds are developed. Matt Perger of Barista Hustle argues that development refers to the interior of the beans and roast level (light/dark) the exterior. 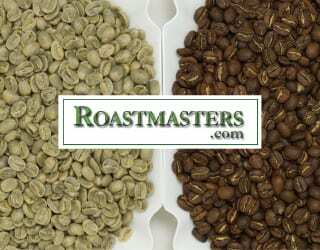 People often confuse dark roasts with over-developed ones and light roasts with under-developed ones. However, there is a difference and, although rare, you can have under-developed dark roasts. From green beans to a dark roast. This topic is so big we had to divide into three: the green bean anatomy, the types of green beans, and green bean defects (although you hopefully won’t have to deal with those). 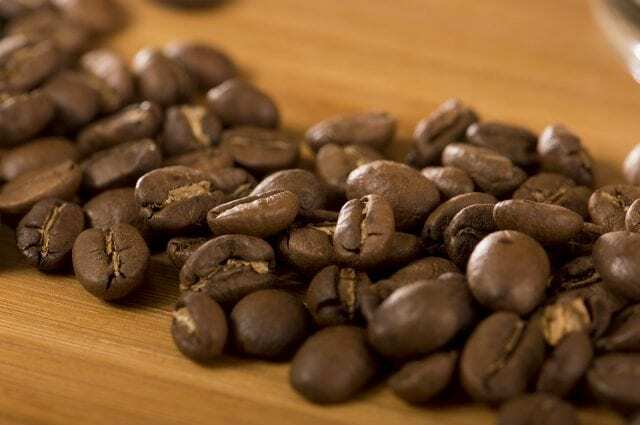 Green coffee beans are unroasted coffee beans or, to be more accurate, coffee seeds. You normally get two beans to a coffee cherry. However, in roughly 5% of cases, the two beans don’t separate. This results in one large, round bean. While technically a defect, some people argue that this creates a unique flavour profile. Many people consider this belief to be purely marketing, however. The tiny skin around the green coffee beans. It will fall off during roasting. The coffee fruit: technically a berry, this sweet fruit contains the coffee beans or seeds. When ripe, it’s typically a vibrant red. However, some varieties are yellow, orange, or pink instead. Robusta and Arabica are the main species of coffee. While there are hundreds of species out there, it’s unlikely that you’ll come across anything other than these two. 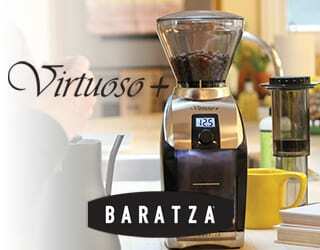 Arabica is known for its more aromatic and delicate flavours. It’s also less resistant to disease and pests. Robusta is known for being more bitter, caffeinated, and hardy. The vast majority of third wave coffee is Arabica but there is also a small level of interest in Fine Robustas. Variety is to species as V60 is to pour over. Within every species, there are multiple varieties with their own distinctive characteristics. These include flavour profiles, growing regions, and bean size. Common coffee varieties include Caturra, Catuai, Bourbon, and Typica. Bean hardness, or density, gives us information about the coffee’s quality and how we should roast it. Harder beans developed more slowly, creating more complex flavours. They can also be roasted quicker and at higher charge temperatures. Generally speaking, the higher the altitude, the denser the beans and the better the coffee quality. However, this isn’t always true. Coffee processing is the method by which the coffee beans are removed from the coffee cherry. They affect the coffee’s flavour and how you roast them. Wet/Washed: The cherry flesh was removed by water and then the beans were dried. These beans offer a clean flavour profile. Dry/Natural: The coffee was slowly dried under the sun while still in cherry. These offer a sweet, fruity taste. 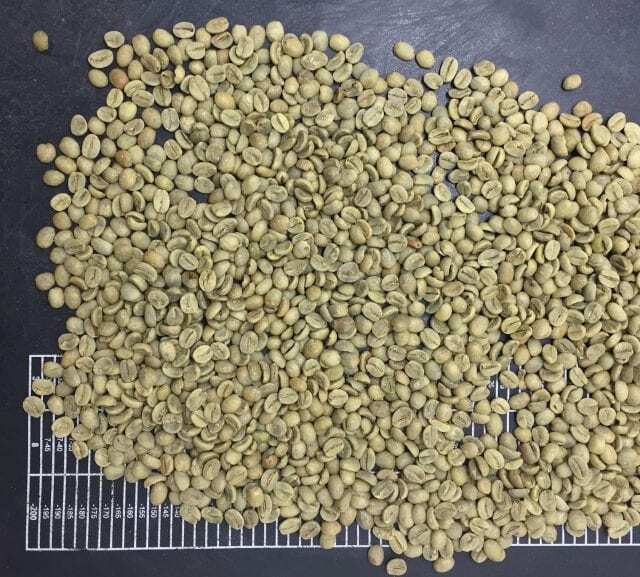 They tend to either be poor quality due to uncontrolled and inconsistent fermentation or high quality due to careful drying and monitoring by the producer. Honey & Pulped Natural: These coffees were dried with varying amount of the cherry still attached to the seeds. The more cherry was attached, the greater the sweetness and body. Different countries have different flavour profiles, altitudes, and more. Knowing the country of origin will help you to both anticipate the flavour profile and, as you become more proficient, how to roast it. A single origin coffee has come from a particular region in a country or sometimes even a particular farm. A micro lot has come from a particular area on the farm. 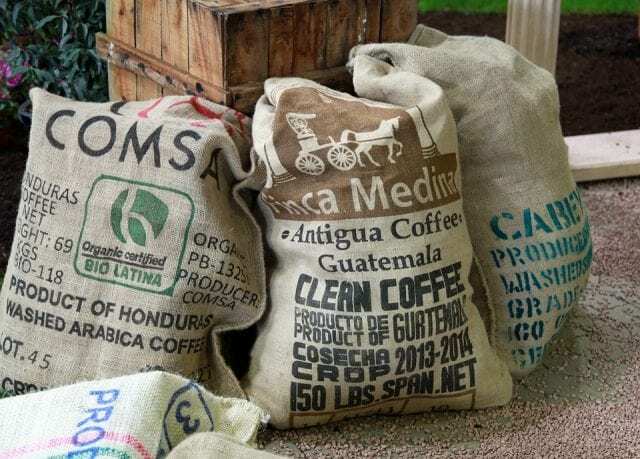 Coffees from multiple origins have been blended, often to achieve a more desirable flavour profile and add any characteristics that were considered “missing”. This can be done before or after roasting. 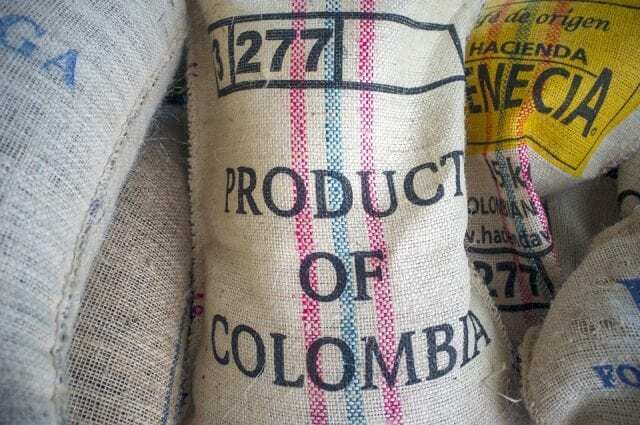 Coffee that is from the previous harvest: you can expect the flavours and aromas to have faded. Note: this is different to aged green beans, where the ageing process has been carefully controlled to produce a specific flavour profile. Bags of Colombian green beans. 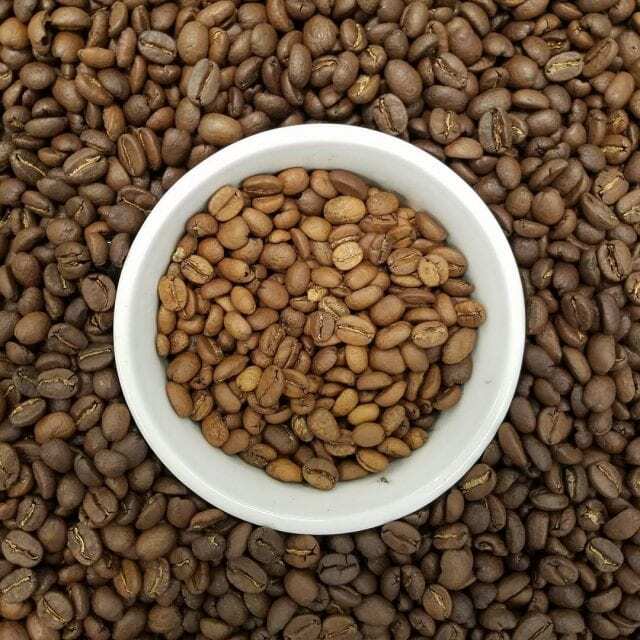 A quick note: professional roasters who buy green beans direct from producers or importers will be responsible for ordering samples and checking for defects. But as a home roaster, if you are ever unfortunate enough to experience these, there’s just one thing you have to do: send those beans back! Holes in your beans indicate that one of several potential pests has damaged them. Beans are shrivelled and black or brown, often due to issues in processing. Beans are a light to dark brown, often due to issues in storage or processing. 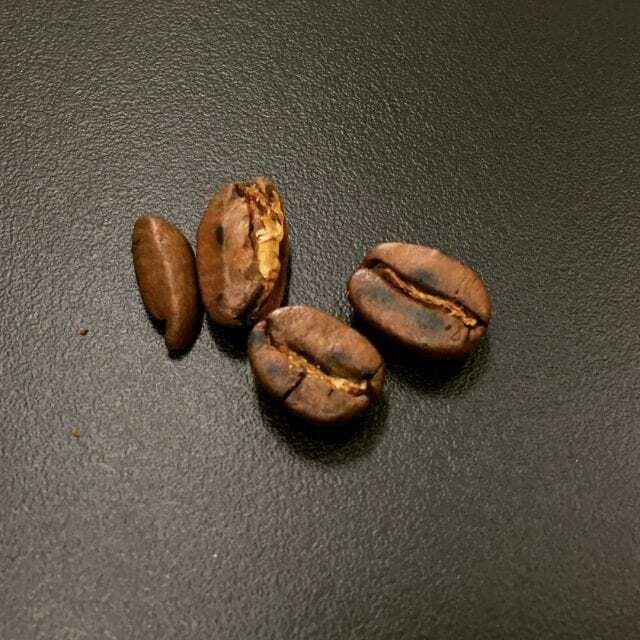 The beans from unripened coffee cherries, these are unfortunately hard to spot in a green bean sample. However, after roasting, they’ll be a lighter brown than the rest of the batch. This is because there won’t be as many sugars, which are necessary for the Maillard reaction (scroll back up to recap this). Quakers have a dry or papery flavour. This happens when the temperature in the roaster plateaued or dropped around first crack. It creates a doughy, bread-like flavour in the cup. The surface of the coffee beans will, as the name suggests, be scorched. This is normally because the charge temp was too high (scroll up to recap charge temp). If you see this, start your roast with a lower heat. Acidity is when a coffee creates the same sensation on your tongue as, say, eating a nectarine or a slice of lemon. There are different types of acidity in coffee. Acidity is often a desired trait among specialty coffee drinkers; if the experience is unpleasant, it can be considered sour. This trait can be manipulated through roasting, although it is challenging. This is a brewed coffee’s texture. It may be described as rounded, silky, full, and so on. It can be enhanced through roasting. SEE ALSO: Coffee Guide: What Is Body? & How Do I Brew & Roast for It? A desirable trait, this can be enhanced through roasting. SEE ALSO: Why Are Some Coffees Sweeter Than Others? Bitterness is generally seen as a negative trait in specialty coffee, although not always. Over-developed and overly dark roasts tend towards bitterness. Common coffee characteristics, you’ll find certain beans tend to have certain flavour profiles. The flavour characteristics most associated with the roast process. As of such, this is a trait most common in darker roasts. This suggests that the coffee was under-developed. The flavours and aromas are less vibrant. This often indicates that the green coffee was old. We’ve covered some of the main concepts that, as a home roaster, you’ll encounter. They’ll help you to understand your roast profiles, discuss roasting with other people, and experiment with new techniques. Of course, the world of roasting is far vaster than this list. 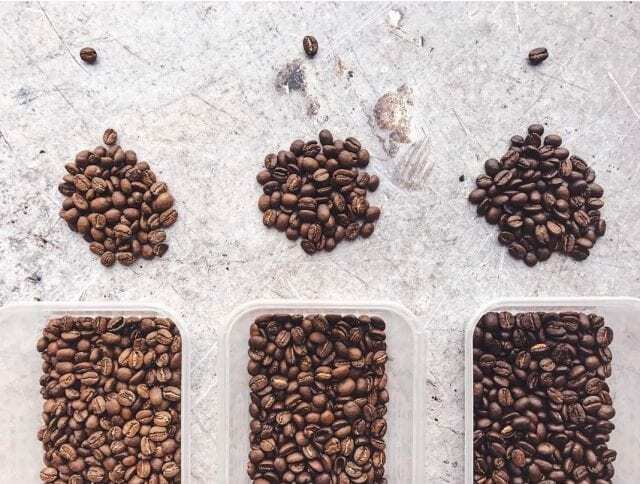 If you’re interested in becoming a professional or semi-professional roaster, you’ll have to look beyond this glossary – but that’s a topic for another article!